Dublin at night. | Come Here To Me! « Plaques of Dublin: The birthplace of Theobald Wolfe Tone, Wolfe Tone Street. Photographer Paul Reynolds contributed many photographs to the recent Come Here To Me book, and is a regular contributor to Rabble magazine like ourselves. I was very taken by these images he just posted online, which show the effect of photographing with a night strobe on the streets of the capital. Some of these sites are historic, and have featured here in the past. 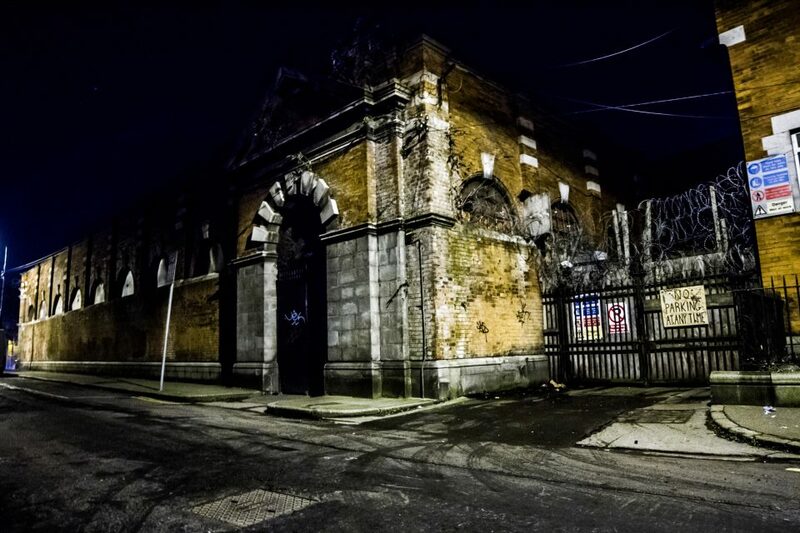 The below shot of the Iveagh Market is a personal favourite, I’m fascinated by the building and its former life. Cromwell’s Quarters has featured on CHTM before. Heuston Station has always struck me as a natural stomping ground for a photographer, with people coming and going and the tracks themselves for inspiration. This is a lovely shot. Fabulous shots. Where can I get background on this strobe thing. It is a great effect. Not sure Póló, I’ll ask Paul to post here! Great pics.The one of Cromwell’s quarters is my favourite! 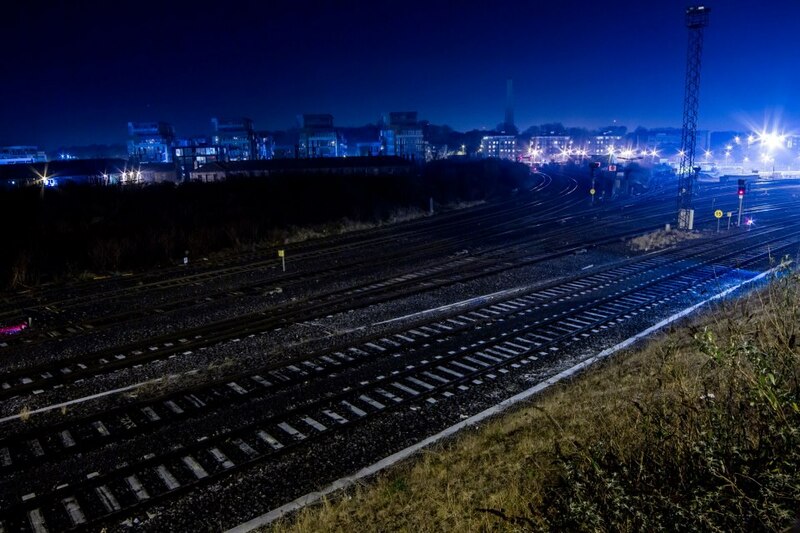 The shot of Heuston in particular is terrific for the background detail that you’d never think you’d get in a night shot. Well thanks for the nice comments. Trying out a new lens so went for a little wander around the area here (Liberties to Kilmainham). 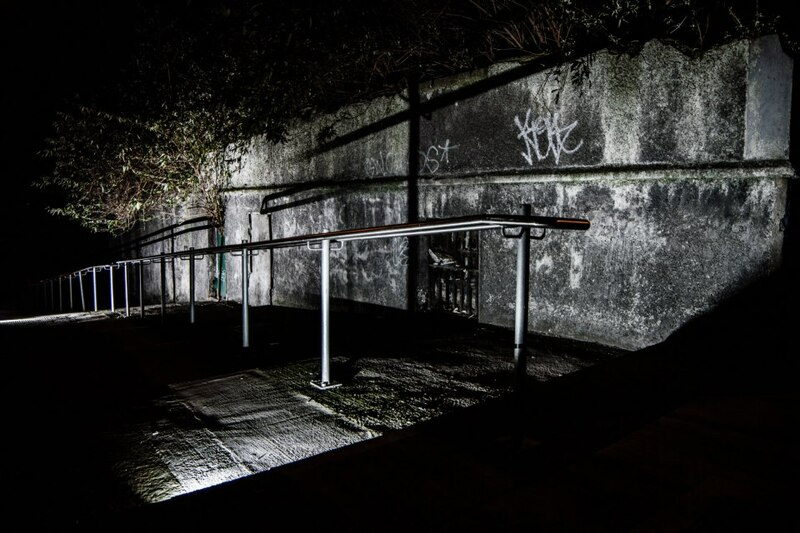 The shots are handheld (rather than tripod) except for the Heuston tracks which is a 30 second exposure on a wall. For the rest I use a couple of wirelessly connected flashes. Most obvious in the Cromwell’s Quarter shot, the two light sources. High contrast concentrated light like this gives a spooky feel to otherwise mundane spots. 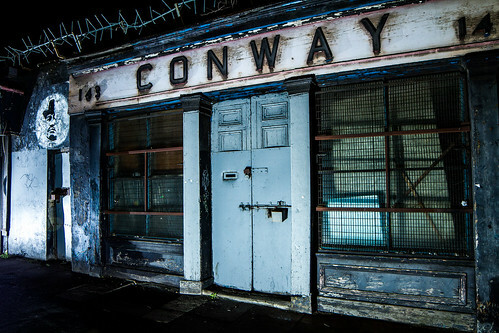 On Conway’s I’ve lit the shop from ground level and down the street to the left with a second flash at my feet for a bit of fill – it’s quite a dark spot – this gives a kind of Film Noir effect, looks like there could be a car coming down the street etc. Lovely spot to photograph. Would love to hear of any other places that the Come Here To Me readers treasure.